As NHS Tayside reviews local mental health services it must look to provide a new facility, offering emergency support 24 hours a day, 7 days a week where people can self-refer. The Crisis Centre would provide access to counsellors and support in a home-like environment allowing people time and space to seek appropriate help. Other cities have modern and personal services like this. Dundee needs a Mental Health Crisis Centre, urgently. Brook Marshall started Feeling Strong after seeing “gaps” in mental health treatment. A new mental health charity has received a cash boost to help it start its work with young people. Feeling Strong has been awarded nearly £3,000 from Business Youth Fund. The group was set up by Brook Marshall after he identified a gap in support for young people living with mental health problems. 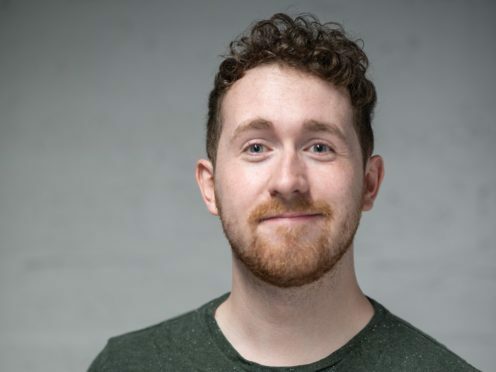 The former Abertay University student president wanted to create positive places where people with mental health issues could hone their skills, boost their confidence and get help to reach their goals. Currently, Brook and the team of volunteers are running two projects funded by Dundee Youth Fund. One of its projects is Dundee Can Listen, which puts young people in front of elected officials to talk about their experiences with local services and discuss the impact they have had on their mental health. The group also has a digital guide with information on the support available. Potential future projects include school visits and matching young people with role models to show them how they live with mental health illnesses. Mr Marshall said: “While I was at university, I was involved in campaigning and advocacy and after graduating it was natural that I would continue this type of work. “I’ve had personal experiences with mental health issues and I felt that there was still a lot that could be done, especially when it came to early intervention. The charity hopes to work with 200 young people in Dundee and the surrounding areas over the next year before expanding further afield. Mr Marshall went to Business Gateway to learn skills that would be transferable to running a charity. He learned how to put together an operational plan and gained knowledge of finances, recruitment and tax issues. “This support has been really important as it allowed me to set up Feeling Strong in the correct manner with a plan to follow in future,” he added. Lynn Maccabe, from Business Gateway Dundee, said: “Although Brook was setting up a charity, essentially they need to have the same skills as any business owner and so we focused our support on areas they will use on a day-to-day basis. Mental health services for children and young people are under pressure. IT was heartening to see one of the first actions of the new Scottish Government Health Secretary, Jeane Freeman, being to recognise as “completely unacceptable” the fact that one in five children and young people seeking mental health treatment are having this rejected. As an organisation that campaigns to improve mental health services, we have previously expressed our concerns over the increased demand on child and adolescent mental health services (CAMHS) and that fact that such a high number of these children and young people who are referred for treatment have it rejected, often with no explanation or with no alternative support provided. This leaves many thousands of vulnerable children and young people in a state of limbo. An audit commissioned by the Scottish Association for Mental Health (SAMH) and NHS Information Services Division was undertaken on behalf of the Scottish Government to review this situation. What is clear from the recently published report is that for many of these young people their needs are not viewed as being severe enough to warrant CAMHS; however appropriate alternative support is lacking. Many children, young people and their families highlighted that they have received a rejection letter within a very short timescale, and feel angry, aggrieved, cheated and let down due to a feeling that no proper assessment process has been undertaken. More disturbingly, it appears that some clearly require treatment but this is being rejected, often without any face-to-face meeting with a specialist. In fact, only 31 per cent of those who undertook an online survey got a face-to-face assessment, and the majority were rejected on the basis of a written referral. It was disturbing to read the harrowing first-hand accounts of the experiences of young people and their families. This includes some believing that they would not be seen unless they were suicidal or at risk of harm, and the impact that failure to get good enough treatment has on mental health, often with the situation for them worsening and then entering a crisis situation. There was evidence also of those who were self-harming, but whose condition was not deemed severe enough to warrant treatment. Situations such as this are wholly unacceptable. It is pleasing to see the Cabinet Secretary fully accepting the 29 recommendations outlined in the report on these rejected referrals and create a new CAMHS Taskforce, headed by mental health expert, Dr Dame Denise Coia, backed with £5 million of investment to reshape and improve CAMHS. One of the key recommendations in the report was the requirement for increased investment in CAMHS and the provision of alternative support services, for those who may not require CAMHS, with mandatory signposting to these. And yet we have seen cuts to these support services over the years. If we are to deliver the support these children and young people need we need greater investment not only in CAMHS, but in such alternative services. It was heartening to also note the desire for a nationwide provision of schools-based services recognised. Investing a fraction of the mental health budget on school-based counselling services, for example, helps to keep children in school and avoid unnecessary and often stigmatising mental health diagnoses. Issues around mental health represent one of the greatest public health challenges of our time and we urge the new Cabinet Secretary to put mental health at the very heart of the Scottish Government health agenda, providing the high quality mental health support that our children and young people deserve. Link to The Herald article here. 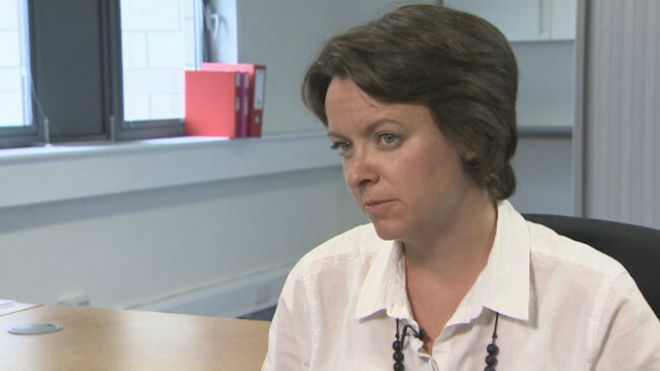 An MSP has called for a Dundee mental health unit to be put into crisis measures following revelations in a BBC Scotland documentary. Former patients at Carseview told the Breaking Point programme they were pinned to the floor and bullied on wards where illegal drugs were rife. NHS Tayside has said it will investigate the patients’ allegations. 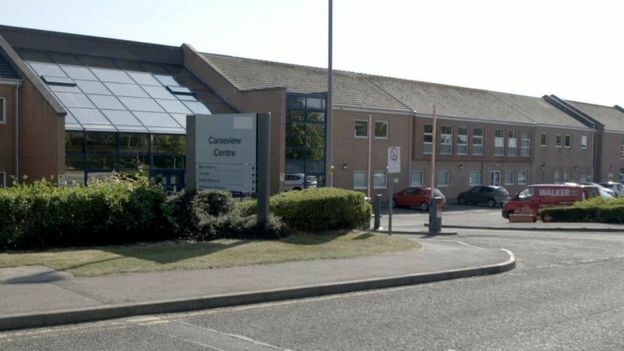 Following the documentary, another former Carseview patient told BBC Scotland that she felt “traumatised” following her time in the unit and said it should be closed. She said: “Now clearly that just wasn’t true. “I am calling today on the cabinet secretary for health to put NHS Tayside mental health services into crisis measures because this is about public confidence. “People in Dundee and Tayside need to know that their loved ones are being properly cared for. David Strang, the former HM Chief Inspector of Prisons for Scotland, will chair an independent inquiry into mental health services across NHS Tayside. The allegations made in the BBC documentary will be included in the inquiry. 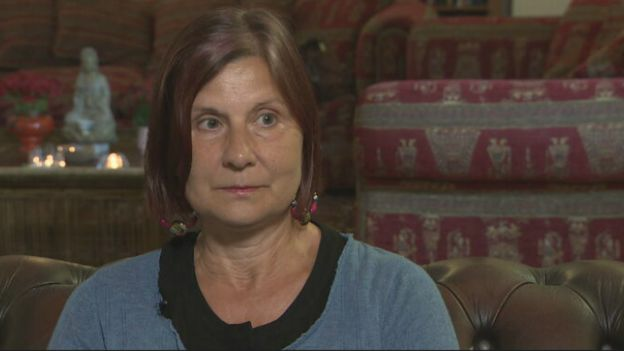 Former patient Daisy Stewart, who was first admitted to Carseview aged 17, said she could “totally relate” to many of the accusations in the programme. She said: “I felt like the restraints were kind of like punishment rather than the other hospitals I’d been in. She said that her time in the unit did her “no good at all” and called for Carseview to be closed. She said: “I’d say it nearly killed me. “I’m surprised I got through it and I still feel really traumatised from it to the point where I still don’t really trust mental health professionals very much. “I definitely felt more traumatised from Carseview than the trauma I had when I originally went in. Miss Stewart’s mother Lisa said that on one occasion her daughter had left Carseview and phoned her from a shop after taking an overdose. Ms Stewart called Carseview and was told that her daughter was sleeping. After checking, staff discovered she was not there. Ms Stewart said she could not take her daughter from the unit as she had been admitted under section. The minister said Mr Strang’s appointment marked the independent inquiry’s “first key milestone” for families. She said: “I also note NHS Tayside has today appointed Prof Keith Matthews as a new associate medical director for mental health services.